Though we began booking events for this summer over a year ago, we’ve had a handful of excellent dates become available on the calendar, and we want to fill them with YOUR events! 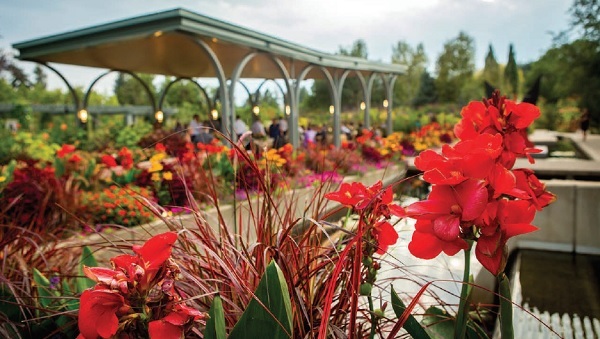 Celebrate with your friends and loved ones while the Gardens show their true colors during our peak blooming season. On select dates June-August, you can save up to 25% off your facility rental fee when you book a new event. With daytime and evening availability at both indoor and outdoor rental sites, our venues can host intimate gatherings for small groups or large parties of up to 1,000 plus. Give your guests a party to remember, surrounded by the horticultural delights of Denver Botanic Gardens at York Street, and we’ll provide you with memories you’ll cherish for a lifetime. Thank you for your interest in hosting your event with us at Denver Botanic Gardens. We would be happy to discuss availability and pricing. Please reach out to us at 720-865-3551 and a member of our team will be able to assist you. We look forward to speaking with you and congratulations!